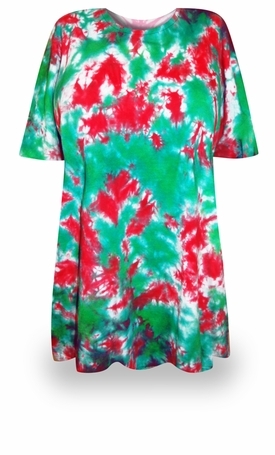 Christmas Heaven Plus Size Tie Dye T-Shirts. Bring in the holiday season with this cheerful marble Tie Dye shirt. Ink colors are bright red and Christmas green.